This beautiful, laid-back town is a wonderful place to stay and relax, with all but a trickle of tourists making it here. 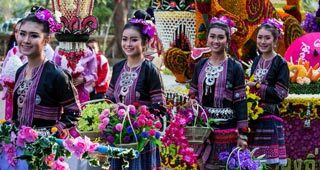 It’s a great place to visit various ethnic hill tribes and explore the surrounding jungle and perhaps go on a river trip to Chiang Rai. 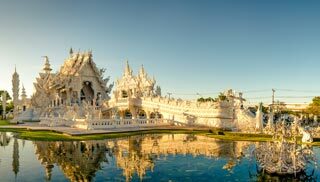 It’s pretty out of the way if you’re not going to Chiang Rai. 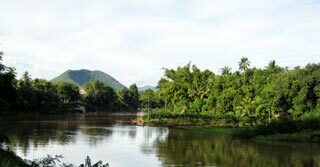 Take in the splendid views from Tha Ton Hill and also from the picturesque riverbank. Or rent a bicycle or motorbike and go to explore the nearby hills and villages. Wat Tha Ton Temple is worth a visit, set atop the hill overlooking the town, with the sight of the colourful Akha women in their traditional hill tribe costumes who come into town to sell their tribal products. If you are a hill tribe enthusiast, you will find many Shans living in Ban Rom Thai, a small village near Tha Ton, and the surrounding hills are home to a number of different ethnic groups, including Yao, Lisu, Lahu, Karen, and Akha. 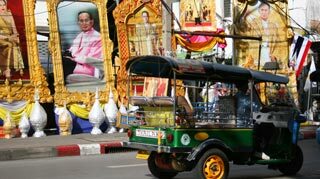 Tha Ton is also home to displaced Chinese nationalists who were forced to flee Burma after the coup in 1962. 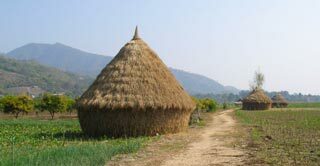 Hill Tribe tours can be arranged in town through one of the many guesthouses. 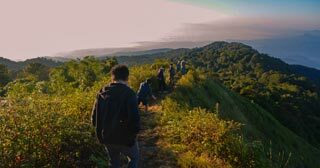 Those wishing to go a bit further afield can make a trip out to Doi Pha Hom Pok National Park to see the hot springs, head out on the road to Mae Chan to see the orange orchards with dragon fruit plantations, and you can also take one of the many riverboat trips to Chiang Rai. If you make it this far it’s a nice place to just chill for a few days or longer! 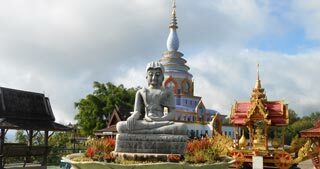 Not far from the legendary Golden Triangle lies the scenic town of Tha Ton, tucked away in the northeast corner of Chiang Mai, between Chiang Rai to the east, and Burma to the north. Situated on the banks of the Kok River, Tha Ton has a fascinating history, having changed hands many times between Thailand and Burma, and in more recent times, was the main staging point for smuggling opium in from Burma. But since the 1970s, Tha Ton has become part of Thailand's far north tourist trail, although the number of visitors is rarely much more than a steady trickle, and at certain times of the year it all but dries up. However, if you make it here, you will not be disappointed. Here, in this peaceful, friendly town, you can truly chill out.